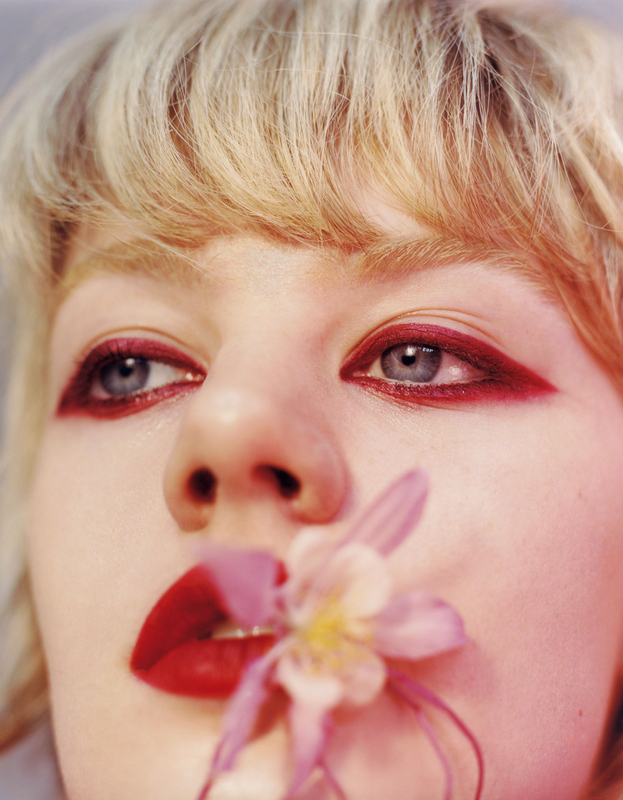 Photographer: Harley Weir. Model(s): Catie Greene, Celine Bouly. Source: Vogue Japan Beauty. Stylist: (Set Designer) Emma Roach, Sissy Vian. Makeup: Lucia Pica. Hair: Tina Outen. 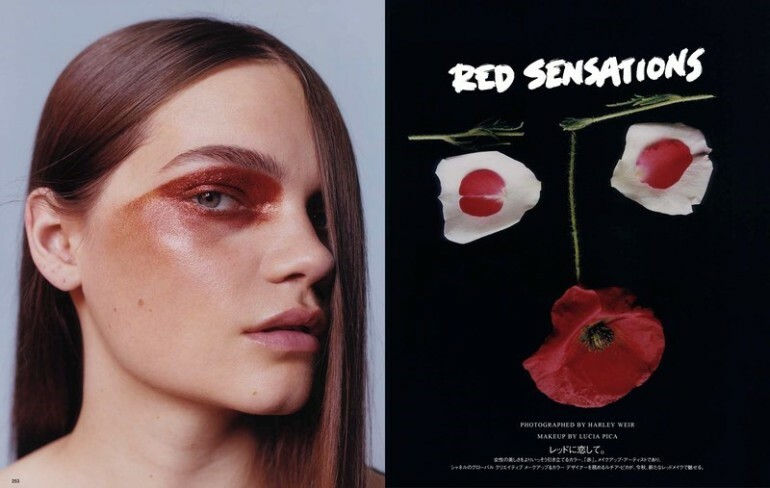 Caitie Greene & Celine Bouly bask in the beauty of love’s burn in “Red Sensations” by Harley Weir for Vogue Japan Beauty, 10/16. The homogeneous nature of all things seem to be driving us toward a neutrality of the senses. A softening of our abstract tensions lead to a weakening of our soulful intent. This is not a simple thing. This is the reckoning of realization. Depth is founded in the fury of light – as truth is secured through the censorship of night. That’s to say that what we accept as the nuance of change can really be a masking of raw emotions. Working toward such an evolution we transcend the worldly concepts of the good versus evil. Art unveils as truth travails on a stubborn slope to hope, as I cascade down this thrilling hill all I can see is way to home. Close your eyes and let the visuals wash over you. I know, I know it sounds mad and even a bit trite. But stop, and listen to your instincts speak. The solemnity of salvation says… you can only expel what you have once felt. The origins of the unique are founded in the cryptic corners of strange, as neoteric visions take us through the vast lands of the imagination. 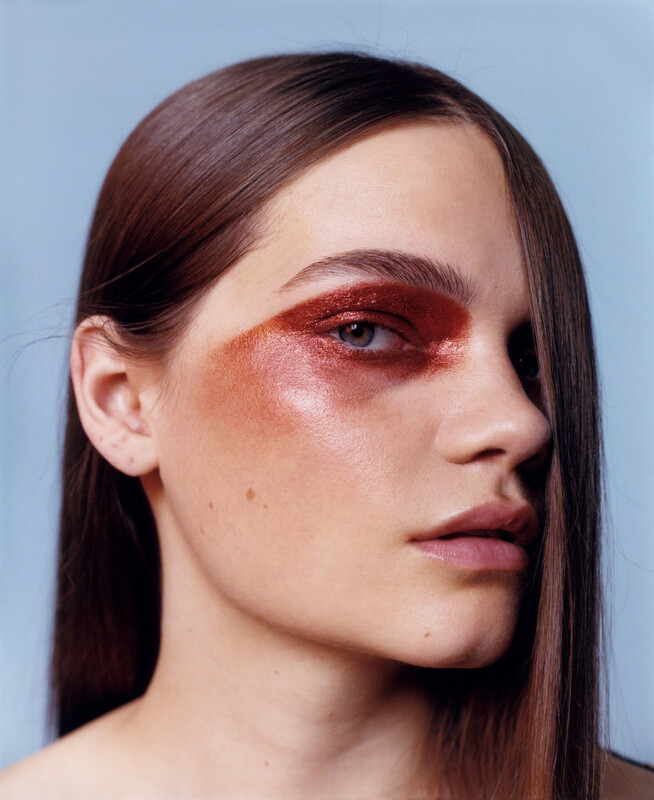 Makeup doesn’t just land on the skin rather it radiates with eccentric wealth. Beautifully bizarre, Lucia Pica feeds us with faces that appear deliciously decadent. Brows and lashes are left empty while the skin illuminates with a powdered glow. Her blue eyes gaze off into the future as a pink orchid dangles in oral ecstasy. Red liner circles her entire lid extending out in dramatic form, while her mouth echoes with a matching tone. Beauty bleeds out, as their rouge lips almost touch with only a rose held between them. Sissy Vian elevates the era with designs divined by the decade from which they came. Golden tulle wraps around the body as the fabric dances overhead. Four lines of floret pearls are stacked in perfect precision as a Chanel choker radiates in emblematic style. 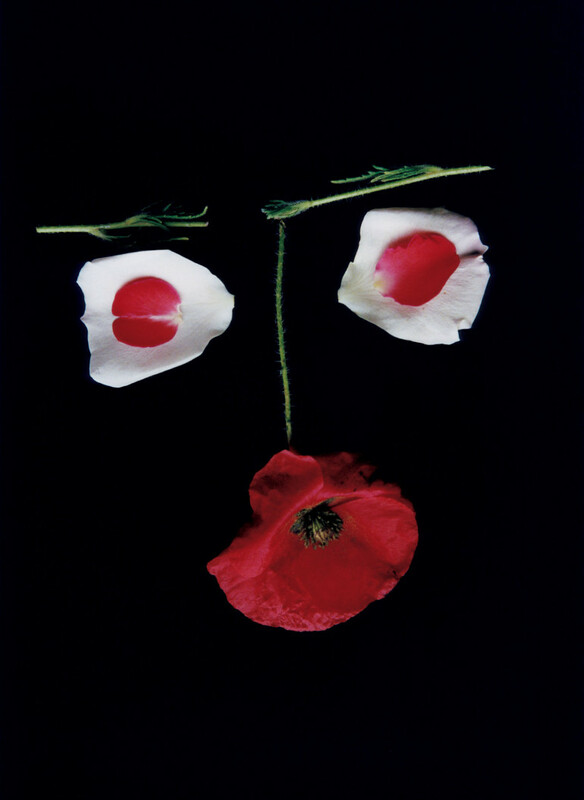 Each page projects a sense of female empowerment as Celine stands in silent harmony with a single, red flower held up over her bare breast. Face to face they are locked in love cradle by arms from up above, the harmony the heart doth bring is captured in songs they sing. Beauty beckons as art divines letting go of the pain that binds. Tina Outen introduces a novel approach to the idea of atypical, with hair that settles on the artfully off-beat. Breaking the shackles of pain we spread our wings to take flight. Harley speaks through her imagery, reminding us that all is not as it appears. Red yolks yell in a scarlet surprise with two soft-boiled eggs that look like staring eyes. We are Freedom Fighters – First, Last & Always – and to that end we must be willing to go deep inside. To a place that both frightens and inspires. My body is but a machine, as the music of the mind plays on each image evokes a silent symphony. The physical world can deliver me to power places, but my mind can transform me on my trip of true discovery. Gazing into the heart of ‘morrow we find ourselves seized by the ache of today.